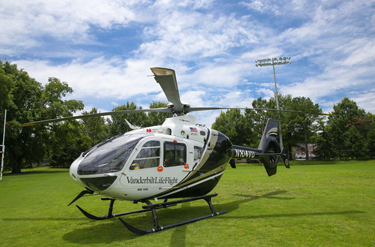 Vanderbilt University Medical Center’s LifeFlight will open its Cookeville, Tennessee, base on August 2, 2016. The new base, in partnership with Cookeville Regional Medical Center, is LifeFlight’s seventh helicopter base in Tennessee. Since 1984 Vanderbilt LifeFlight, accredited by the Commission on Accreditation of Medical Trauma Systems (CAMTS), has flown more than 40,000 patients. LifeFlight transports to any medically appropriate hospital and has immediate access to the region’s only Level I Trauma Center, Regional Burn Center and comprehensive Children’s Hospital, all at Vanderbilt. Cookeville Regional Medical Center- Serving the area since 1950, Cookeville Regional Medical Center has grown to be the region’s health care provider of choice and is the flagship hospital for the Cookeville Regional Health System that also includes Cumberland River Hospital and Cookeville Regional Medical Group. Cookeville Regional Medical Center is a progressive 247-bed regional referral center serving more than 350,000 residents in the Upper Cumberland region of middle Tennessee. With over 200 physicians in 40 different medical and surgical specialties, Cookeville Regional offers patients here the same kind of care that they could expect in a larger metropolitan area including specialty care such as cardiology, electrophysiology, cardiac and thoracic surgery, vascular surgery, pulmonology, cancer treatment, orthopedics, physical rehabilitation and neurosurgery. Cookeville Regional has been named one of the 100 Great Community Hospitals by Becker’s Hospital Review two years in a row.